Automobile Magazine polled its editors and contributors for their favorites at the 2018 Pebble Beach Concours d'Elegance. 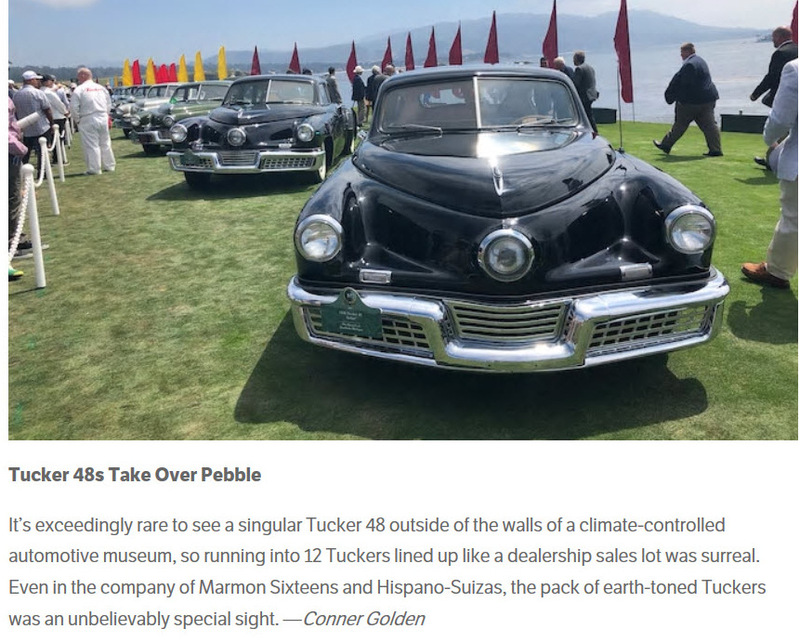 "Even in the company of Marmon Sixteens and Hispano-Suizas, the pack of earth-toned Tuckers was an unbelieveably special sight." The 1937 Alfa Romeo 8C 2900B Touring Berlinetta that won the Best of Show prize at the 2018 Pebble Beach Concours d’Elegance is certainly an amazing machine, but there’s far more to the Concours than naming a single best car. We polled our editors and contributors for some of their favorites spotted Sunday on the 18th fairway.